There is no lack of authentic writings on Buddhism Numerous books are coming out in steady flow on the different topics of Buddhism in India and abroad every day. These books are written from divers perspectives. But until now there has been no systematic and scholarly discussion on the Bodhi-trees under which the twenty-six Buddhas were Englishtened. This urged me to write ‘The Tree-Thrones of the Buddhas’. I try to show how the material the scientific, and the historical and the literary are interlinked between themselves which are rooted in Indian life. Buddhism also itself in turn is transcendentally affiliated to it. In this short book the trinity – History, Botany and Literature are combined in one single form with a harmonious relationship. The nature of this relationship has been analysed with the aim of achieving material and spiritual goals. Therefore, the present work is also the first attempt to collect and analyse the trees scattered in Pali and other Buddhist texts associated with the life of the Pre-Buddhas, Gautama Buddha and Future Buddha Maitreya. I have brought out some facts about the Botanical Knowledge of the trees used by them. Short description of each plant, account of their medicinal use, their supposed virtues, families, Botanical names, synonyms are described according to more modern practice which are easily filled into the new scheme of thinking and presented in a complete form for the first time. While presenting the principles of the book I have tried to communicate the excitement of early and recent development as well as the joy that comes with the extension of knowledge in these fields. 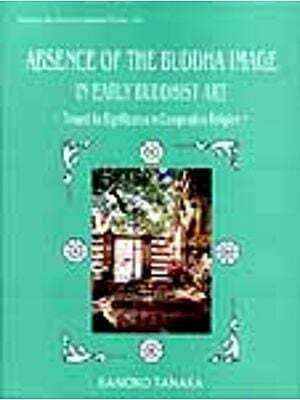 The book has not covered the greater part of the flora of the Buddhist literature. There are still a minority of species that have been included in this book. But at any rate the present work could be looked upon as a first step towards complete elaboration of some flora of Buddhist literature. So from the first, I was more than aware of the hazards inherent in the attempt to form rich and complex discussion on the trees associated with the Buddhas within the limited dimension of a single book. The Chapter One discusses the brief life sketch of the twenty six Buddhas according to Pali literature and full description of their Bodhi trees at some length. In this study the first step necessarily is to determine the names of the trees of the Buddhas and their proper indentification which I have been able to depicit by plates and pictures. The Chapter Two carries the reader to the holy trees associated with Gautama Buddha who had a healthy relationship with nature. All these majestic and glorious trees are well known and have been included in Pali, Sanskrit, Burmese, Chinese, Siamese and other literary sources not because of their qualities but also for their holiness. Most of these trees are esteemed as the sacred trees in the ancient Buddhist literature and also depicted carefully in the Buddhist Art. References on this Art are to be found in relevant places. ‘The Tree-Thrones of the Buddhas’ unfolds a definite need, as up till now there has been no comprehensive study dealing with the Bodhi Trees of India. The Bodhi Tree lingers through centuries only to remind the humanity for all time to come the road to Freedom (Nirvana). In this fascinating book Dr.Das traces how trees led the Buddha to enlightenment from the encircling gloom. One wonders whether it was due to the hallowed presence of the Buddhas that the trees became sacred or whether the sacred trees were catalysts in bringing about the consummation of Buddha’s Enlightenment. The identification of Bodhi-trees has now been made easy by the special key devised by her. So the reader will find it much simpler to use this key than the standard classification tables use in different books. Dr. Asha Das, M.A., Ph. D., Sahitya-Bharati, Griffith Memorial Prize winner (C.U)is the Rtd. Reader and head of the department of Pali, Calcutta Unviersity. She was born in a renowned family of Chittagong (Undivided India)which took active part in the Freedom Movement of India. She is widely recognized as one of the leading authorities in the fields of Indology. She has already twenty published books to her credit. The present study has added a new laurel to her fields of research related to Buddhism.